E3 2018 is now less than two months away and rumors and leaks are slowly starting to appear on the Web. 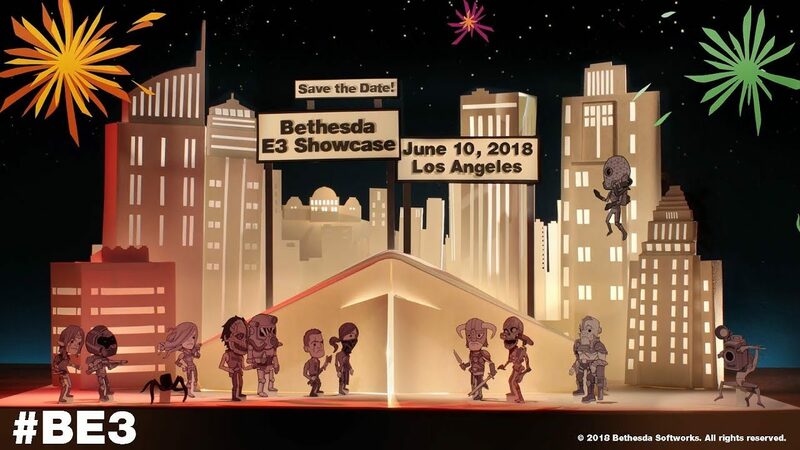 One of the strongest rumors points to Bethesda Game Studios revealing their next big game, believed to be the Sci-Fi themed Starfield, during the Showcase event already set for Sunday, June 10th at 6:30 pm PT. Earlier today, though, ResetEra user AAMARMO posted a speculation thread where he surmised, based on descriptions from the Starfield trademark, that it could actually be a mobile game rather than the next Triple-A RPG by Todd Howard and his team. However, ResetEra user Potterson quickly replied saying that Starfield won’t be a mobile game and Bethesda plans to release it this Fall after an announcement at E3 2018 in June. No, it is not 🙂 And it is coming this fall, so just wait for E3. Making such claims, if unsubstantiated, can potentially lead to permanent bans on the ResetEra board. Potterson privately shared how this information came into his (or her) possession with the forum’s administrators and Community Manager SweetNicole then posted the following statement, lending some credibility to Potterson’s claim. At this time administrators cannot verify the contents of the quoted post made by Potterson in this thread are accurate. However, the user has shared information with us that suggests they could be in a position to know the information they claim in the post. As always, ResetEra members take full responsibility for what they post. Potterson himself clarified in a subsequent post to be just someone who was in the position to know about this particular project, rather than an industry insider. Nah, sorry. Not really an “insider” or “press sneak fu**”. Just happen to know something so I thought I share. I can’t say more yet. This would suggest that he (or she) is a friend, or relative, of someone aware of Starfield. In any case, Bethesda recently teased that there would be “a lot of stuff” at the E3 2018 Showcase. An announcement from id Software about a new DOOM game is likely, but it’s hard to see anything else major save for a Prey expansion (which could be standalone like Dishonored: Death of the Outsider) and Starfield itself. Stay tuned for all the latest rumors as we get closer to the big event.